Representative Roscoe Bartlett (R-6-MD) has introduced bipartisan legislation to ban invasive experimentation on chimpanzees in the United States. Representative Bartlett says that it's time for Americans to "decide if the benefits to humans of research using chimpanzees outweigh the ethical, financial and scientific costs." He goes on to say that the evidence is mounting that they do not. The reason I'm posting this on a blog about bigfoots is that chimpanzees are routinely experimented on because they are humans' closest relative. I think that we in the bigfoot community know of another, even closer relative. After bigfoots are recognized by the scientific establishment, what sort of inhumane treatment will they be subjected to? I feel that if we move now to protect the already recognized great apes, then after "discovery" sasquatches will receive the same (and hopefully greater) protections under the law. Now is the time to move to start advocating for the protection for sasquatches (see my previous blog post, Conservation Before Discovery). I am not suggesting that you picket the White House Lawn with signs proclaiming we stop experimenting on sasquatches. We cannot afford to be seen as aluminum-foil-hat-wearing-nut-jobs. However, we can quietly support the protection of all ape species, as well as strongly advocate for aboriginal (human) people's rights. It is likely that sasquatches will fall smack in between these two groups, thus calling into play a unique mixture of laws that are already on the books. Please read Representative Bartlett's editorial from the New York Times below. BEFORE I was elected to Congress, I was a physiologist at the Navy’s School of Aviation Medicine. For our successful missions to transport men to the moon and return them safely to Earth, I invented a series of respiratory support devices, which we tested on primates, including Baker, a squirrel monkey. 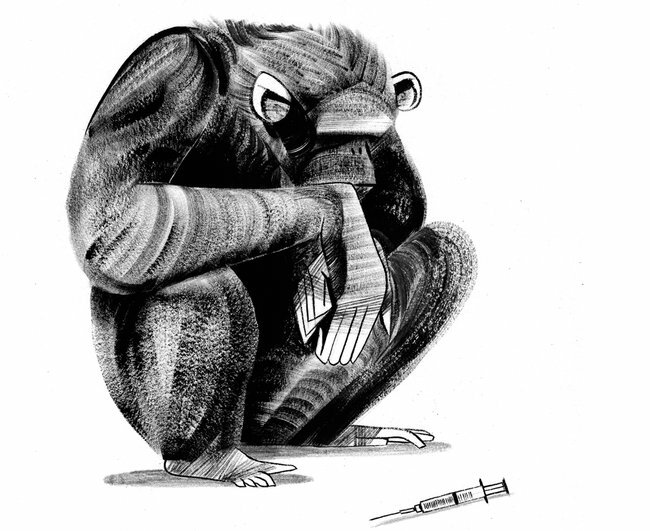 Before humans were rocketed into space, Baker was the first primate to survive a trip into space and back; Able, her counterpart on the flight, died from an allergic reaction to an anesthetic during a procedure shortly after the landing. Today is the start of a two-day public hearing convened by the Institute of Medicine, which is examining whether there is still a need for invasive chimpanzee research. Meanwhile, nine countries, as well as the European Union, already forbid or restrict invasive research on great apes. Americans have to decide if the benefits to humans of research using chimpanzees outweigh the ethical, financial and scientific costs. The evidence is mounting that they do not. For one thing, many new techniques are cheaper, faster and more effective, including computer modeling and the testing of very small doses on human volunteers. In vitro methods now grow human cells and tissues for human biomedical studies, bypassing the need for whole animals.